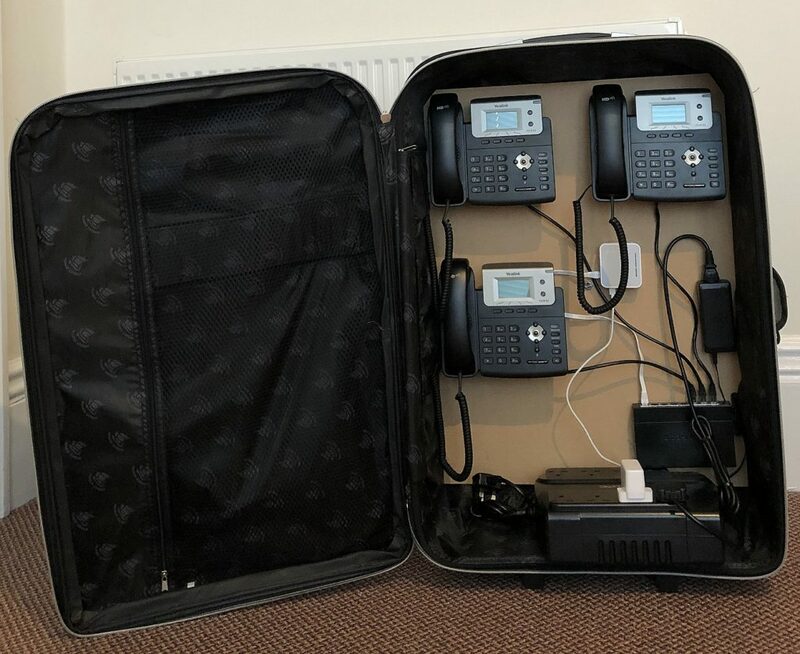 This is the IP phone system mounted in a suitcase I carry in my van for demonstration purposes, showing the system to potential customers. But it is still a fully functioning 3 line IP PBX, just happens to mounted in a case. It has it’s own power supply and Internet connection using the 4G or 3G mobile network. I can also connect it to your own regular Broadband and make or receive up to 3 simultaneous calls, using my 01752 266464 telephone number. Voice-over-Internet Protocol (VoIP) is a protocol that enables transmission of speech over the internet or other IP packet-switched networks. VoIP converts the voice signal from a telephone into a digital signal that travels over the IP Network, then converts it back at the other end. Now widely accepted, VoIP technology is being rapidly installed and is now a core part of all new telephone systems. VoIP is undoubtedly the future of telephony, now offering capability, flexibility, quality and resilience that are a far cry from the limitations of earlier systems. VoIP provides a lower cost alternative to the traditional networks Call costs for businesses, systems are substantially lower than ISDN, VoIP is scalable on an individual channel basis and extra phones can be added without additional telephone cabling. For multi-site organisations all internal phones can be on the same network, so calls between sites within the organisation are free. Number portability is assured and simple, even when moving long distance. Conference calling, call forwarding and caller ID are all low-cost or free features. Integration with other services such as voicemail to email. VoIP technology has now matured to offer comparable if not more dependability than traditional ISDN type services. This, combined with low lifetime cost is presenting decision makers with a compelling business case. Relocating your business? Moving house? In most cases, YES YOU CAN…! Using your broadband you can have them much sooner, and very much cheaper…! 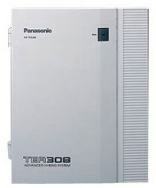 The Orchid PBX308+ is a great value for money, easy install, entry level small business telephone system (PBX). 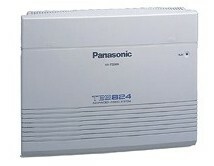 The PBX308+ accomodates up to 3 telephone lines and provides up to 8 extensions. Key features include 99 system phone number memories, Auto attendant, Auto Fax Detect,Caller ID Compatible and many more.